The benefits of marketing automation are well-recognised. Automating your processes – whether production, approval or delivery – can save you significant time, reduce your admin, improve your targeting and accuracy, optimise regulatory compliance. The arguments for greater automation in marketing are compelling. But once you’ve decided to reap the rewards of automation, how do you choose the right solution? It can be the use of a CRM system to better track and nurture marketing and sales leads. And it can mean the automation of marketing processes such as briefing, reviewing, proofing and approvals. This is the type of automation we’ll focus on here. The capabilities and benefits of marketing automation tools are wide-ranging. But precisely because they can be and do so many things, it’s worth focusing on the essential criteria for your firm. Are you looking for pain-free creative briefing, improved regulatory compliance or better collaboration between your teams or offices? Marketing automation can deliver all of these, and more – but having a clear idea of priorities can make the selection process much easier. It increases Marketing teams’ productivity by between 1.5% and 6.9%. Automation can also make agency briefing easy, help you design user-friendly web content, improve cross-team collaboration and ensure brand consistency. If you work in a regulated industry, its potential can be even more compelling. Producing financial promotions that comply with regulatory requirements adds a whole layer of complexity to developing marketing collateral. Not only do the financial promotions themselves have to be compliant, so does the process used to review and approve them. Risk warning, disclaimers and disclosures need to be included correctly. Automation is a real plus here. An automated solution can enable Marketing, Compliance and Sales teams (and anyone else producing marketing or communications materials) to automate project management and approvals. By making it easy for people to access compliance-approved wording, you can be sure that only accurate data is included in presentations, pitches, brochures and whitepapers. As a result, you improve the accuracy and quality of content you send to your Compliance team for approval – and get materials to market faster. And automation can mandate Compliance team sign off, meaning that no material leaves the firm without the correct approvals. An automated workflow tool can be used to ensure risk warnings are prominent, with Compliance team reviews and approvals automatically captured in an FCA-compliant audit trail. The solution you choose has to do what you need – that’s a given. But there’s more to a solution than the basics. Does it have a clear dashboard of open jobs and responsibilities? 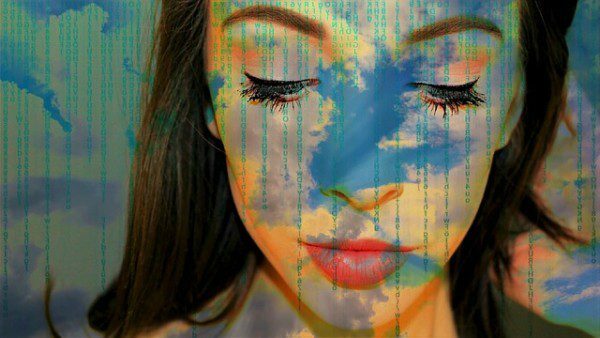 Are you able to customise how information is delivered? Does it make keeping track of projects easy, with straightforward filing? Can you collaborate with colleagues in real time? Also remember, you are buying not just a solution but a supplier. Does your supplier have a strong track record and history of delivering automated solutions? Are they able to evidence satisfied customers, with testimonials and case studies? What training will you receive, and what back-up is available? Is there 24/7 ‘plain English’ client support? Ensuring your chosen supplier can support you in your automation journey is vitally important. Automation can benefit Marketing teams in many ways. Choosing the right solution is an essential step in making sure you reap the rewards of your investment in automation. For more advice on this, read 10 mistakes to avoid when selecting a marketing automation platform. And if you’ve decided this is a route you want to go down, these tips on How to get buy-in for a marketing automation project will be useful too. 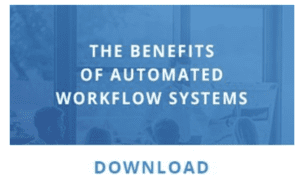 You might also want to read a copy of our whitepaper on The benefits of automated workflow systems. The paper’s free, and you can download your copy here.